Sounders general manager Garth Lagerwey on Wednesday watched his team extend its streak of consecutive playoff appearances to 10 while his personal tally climbed to 11. But Lagerwey nearly had his personal playoff streak end before it truly started as GM of Real Salt Lake in 2009 when his sub-.500 squad barely qualified on the season’s final day. And it only did so because the Sounders, who’d already made the playoffs that year and had nothing to play for in their final regular-season game, defeated FC Dallas and allowed Lagerwey’s squad to leapfrog into the sixth and final Western Conference slot. “Chris Henderson likes to kid me that the only reason I have 11 in a row is because of the Sounders,’’ Lagerwey said of the team’s vice-president and personnel director. Henderson helped Lagerwey shape much of the Sounders squad that sits 16-11-5 and only three points behind No. 2 LAFC and No. 3 Sporting Kansas City heading into Sunday’s contest at Houston. On Friday, Major League Soccer released a list of the 10 best personnel moves made by teams this season and Lagerwey’s additions of forward Raul Ruidiaz and defender Kim Kee-hee were Nos. 5 and 8, respectively. It’s been a remarkable 13-2-2 turnaround for the Sounders now at a half-season’s length and counting. They finish the season next weekend against last-place San Jose, their fate ranging anywhere from playing a first-round “knockout’’ stage game on the road to skipping that round altogether. Still, if contentment spawns indifference, Sounders fans appear quite happy with the change in fortunes for Lagerwey’s team. A recent fan vote on Lagerwey’s future engendered such a low turnout the team and its Alliance Council last week practically begged season-ticket holders in on-air promotional ads to cast ballots before polls closed. It was touch-and-go as to whether the vote would obtain the required 40 percent quorum to become official — and the team won’t say until November whether it was met — but regardless, it’s a near certainty season-ticket holders gave Lagerwey the needed approval for another four-year term. Lagerwey isn’t commenting on the vote — saying it’s “above my pay grade’’ — but has plenty to say about this roller coaster season, increasingly high fan expectations and the playoffs. His RSL team from 2009 shocked everyone by winning the MLS Cup title, much like the 2016 Sounders did after squeaking into the postseason. While he’d prefer avoiding the “knockout’’ stage entirely by claiming one of the conference’s top two positions, he realizes that qualifying for the postseason is important all on its own. Yet, it’s a job unfinished. Only the Los Angeles Galaxy teams of 1996-2005 have made the postseason this many consecutive times. A Toronto FC squad that won the MLS Cup championship a year ago — proclaimed by many to be the league’s greatest ever franchise — didn’t make the playoffs this season after emptying its tank last March and April in CONCACAF Champions League play. Likewise, the Dynamo squad the Sounders face Sunday will also stay home come November after reaching the conference final against Lagerwey’s squad a season ago. The Dynamo did win the U.S. Open Cup title last month, but otherwise, like Toronto FC, hit a midseason wall and never recovered. That puts into greater context this three-year Sounders run, having survived their second consecutive abbreviated offseason and early Champions League play intact enough to attempt a third straight finals run. Lagerwey says he never lost faith. It’s true the streak began before Ruidiaz or Brad Smith had started a game, or Nicolas Lodeiro had recovered from a broken toe. Victor Rodriguez was still sidelined by a knee injury while Osvaldo Alonso was a mere shell of his former self. 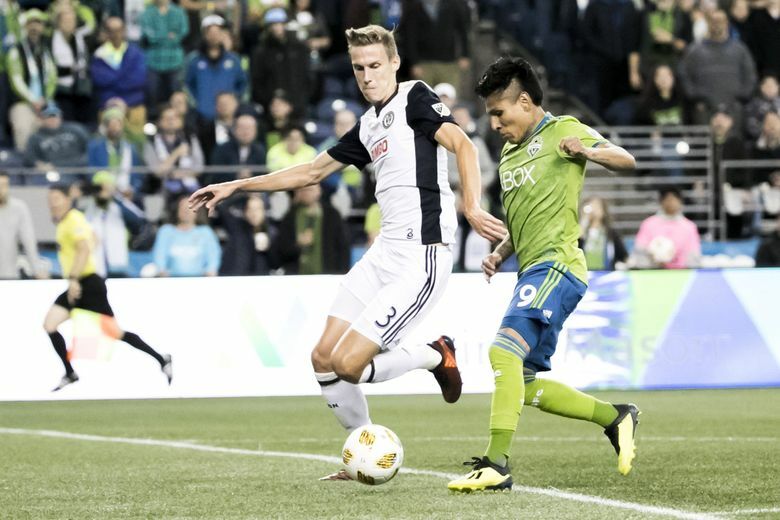 While Lagerwey says he never lost faith, their early struggles left the Sounders practically zero margin for error once they did start winning. They were reminded of that last month when Philadelphia snapped their MLS record nine-game win streak at CenturyLink Field on a stoppage time giveaway. That defeat may have cost coach Brian Schmetzer’s team the conference title. For certain, it put them in this position of needing to win-out to avoid the single-game elimination round. Few teams maintain the mental focus needed to play consistently well for this long while overcoming bad luck and injury. Toronto FC couldn’t, nor could the Dynamo or a Colorado Rapids squad that played the Sounders in the 2016 conference finals. And yet, the Sounders are still here. No tougher than the season until now has been. And things won’t get any easier when the postseason opens, the only time of year most Sounders fans remember.